The start of a new year is always promising, but when it comes to new movie releases, the year rarely gets off to a promising start. 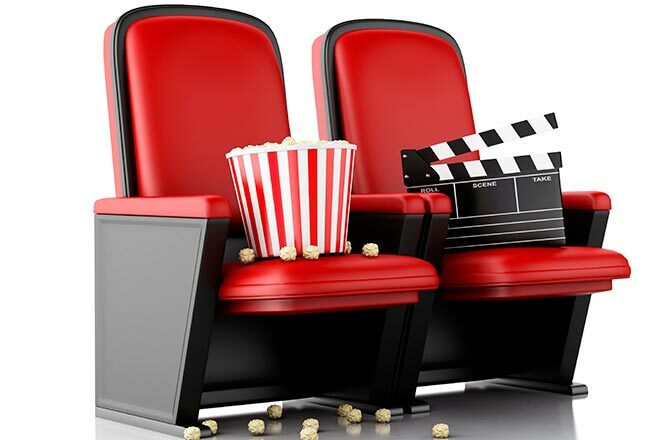 The January box office notoriously sustains itself on holiday leftovers and awards-season darlings expanding into wider release. I suppose it's understandable that nothing wants to open at a time when the kids are going back to school, adults are getting back to work, and people don't want to leave their houses because it's so darn cold. Studios tend to use this time to unload movies that they want to release at some point, but not against any serious competition. "Escape Room" fits the bill nicely. 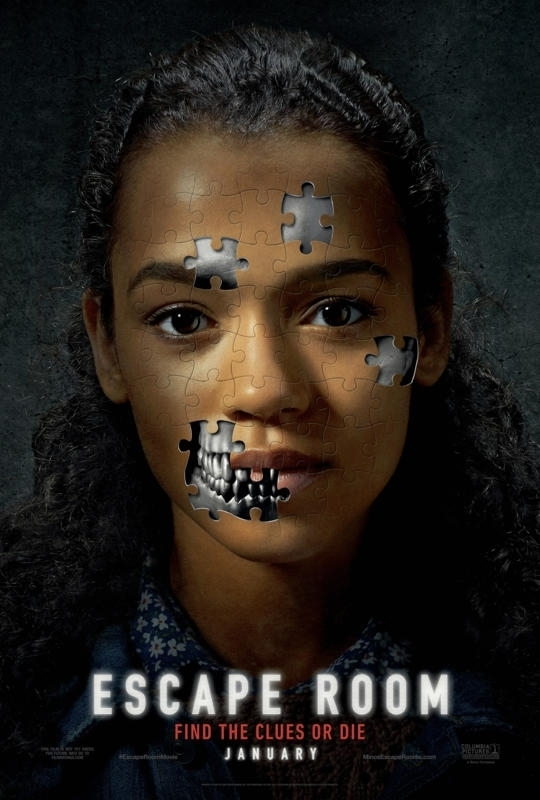 It's a tame PG-13 horror movie that isn't going to give anybody the thrill of a lifetime, but can at least be counted on to do well among the "Eh, I like puzzles" set. The setup is that six strangers get mysterious invitations to the world's most challenging Escape Room - an elaborate interactive game that involves solving a series of puzzles to get out of a supposed prison. At least it's supposed to be a "supposed" prison. The characters are in fact very much trapped. And they're in danger too. Attempts to forfeit at the venue's waiting room go unrecognized as the room heats up to 451 degrees. If our heroes don't figure a way out soon, they'll be burnt to a crisp. Or will they? No responsible Escape Room operator would really cook people, think of all the lawsuits, charges, and messes. Then again, who said this particular Escape Room was being run by someone responsible? At any rate, the engulfed-in-flame room is at least uncomfortable, so it's best to press on. The hot room leads to a cold room, which leads to a high-up room, which leads to a room with poison gas, which leads to a room with a poisoned salve, which leads to a room that's collapsing on itself, which hopefully leads to some answers and/or freedom. The rooms are navigated by nervous student Zoey (Taylor Russell), cocky stock trader Jason (Jay Ellis), traumatized soldier Amanda (Deborah Ann Woll), folksy miner Mike (Tyler Labine), experienced escape roomer Danny (Nik Dodani), and lifetime washout Ben (Logan Miller). The opening of the film shows a lone Ben trying to escape the sixth, collapsing room (the film forces him to narrate his thought process, which even to a soliloquist like myself looks weird and unnatural) and we spend most of the time catching up to how he got there and learning why it's only him. Then we get an ending straight off the Wheel of Lame Horror Movie Twists. The wheel ticks past Aliens, Split Personalities, Characters Were Dead The Whole Time, and lands on... I won't spoil it, but it's not worth getting your hopes up. The clues and puzzles range from too easy to too hard to downright impossible because they require information that the characters uncover at the last minute. I'll give you of an example of one that's too easy: The characters need to come up with a seven-letter word. The room filled with deer antlers. A clue is the phrase "You'll go down in history." I told my mother about this scene and how five of the characters didn't know the answer and she replied, "They were obviously deprived as children." And I was deprived of two hours of my time watching a movie that thinks this clue is challenging. At best, "Escape Room" is silly pseudo-fun. At worst, it's an unscary, unexciting slog that rips off movies like "Cube" and "Saw" (without either's gore, for better or worse). It's the quintessential January release, if not one that's actually toward the higher end of the spectrum when compared to all the garbage we've gotten in Januarys past. See this, the first wide release of 2019, only if you are truly ready to leave the better releases of 2018 behind. "Escape Room" is rated PG-13 for terror/perilous action, violence, suggestive material and language. Its running time is 100 minutes.